Capital Express Courier Service – With over than 30 years of serving businesses with medical courier, trucking, warehousing, logistics and distribution. Capital is a 3PL logistics company providing local and nationwide distribution and express courier delivery and messenger services. 1 hour. 2 hour and 3 hour time critical when you absolutely need that package or spare part as soon as possible. 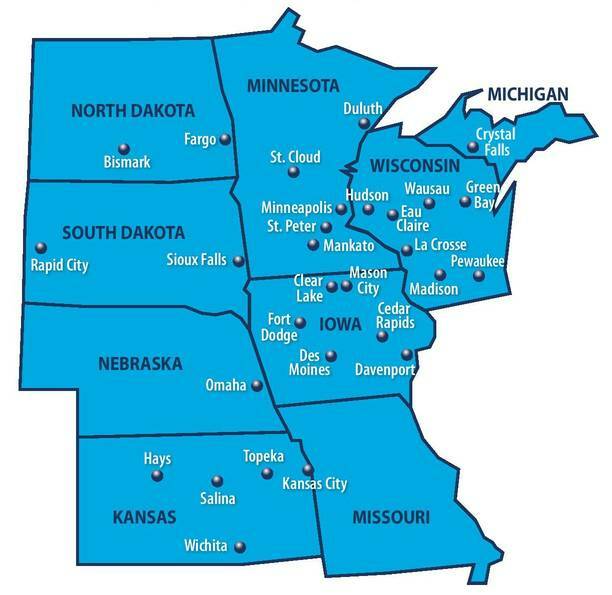 Courier service delivery coverage North Dakota – South Dakota – Minnesota – Wisconsin – Illinois – Missouri – Iowa – Kansas – Nebraska and Iowa. See map below.